We had a great turn out for Big Cats Mk. IV and there seems to be some good interest in continuing the tradition with a Mk. V.
So let's see what kind of interest this generates and I'll send in a campaign proposal once we have 10 fellow modelers interested in the next journey. Here are the rules I proposed for the last campaign. What do you guys think? Everything seem good? Oh yeah, let's keep this campaign from being extremly long. What do you say starting 6-1-17 and ending 12-31-17? If you awesome ribbon makers want to submit some options, we can have a vote on them once the campaign is a go. That's fine. Should give me time to wrap up the few I'm working on right now. I have been in all 4 of the previous ones,but I would need a fall to spring campaign like the last one,too quick of a turnaround for me. I understand Anthony and honestly I'm right there with ya. I'm entered in so many campaigns right now... And with my new work schedule I probably won't be able to finish a few of them. So, to make sure we all dont get wrapped up in a kit we can't finish in enough time, how about we move the finish date to 3-31-18? Same start date, or are you shifting that to 9-01-17 to match? Already have a kit in mind that I bet no one else will duplicate. Same start date. That way we all should have plenty of time. Thanks Dennis,that end date could work for me,this is what I will build. Nice Anthony. 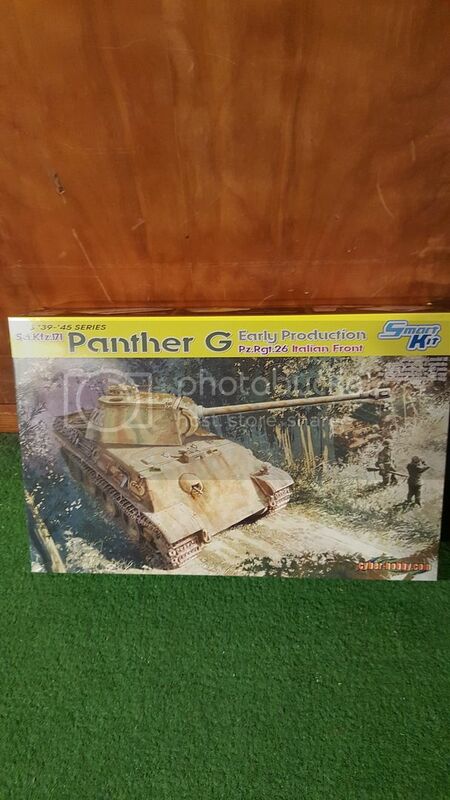 I'll probably build a Jagdpanther. That's 5 of us. Just need 5 more. No worries at all Anthony. Sal, glad to have you. I believe that's 6 of us. Welcome eman! Just need two more. Glad to have you, Clayton. Just one more and I can submit the campaign. Schweet. That's 10. I'll submit this. Thanks fellas for the interest fellas. Just so everybody is aware, I submitted this to run from 6-1-17 thru 3-31-18. Just so everybody knows. That'll give us all plenty of time to complete our builds. Sounds like a good plan, Dustin!